Long lasting, tough and made to promote. 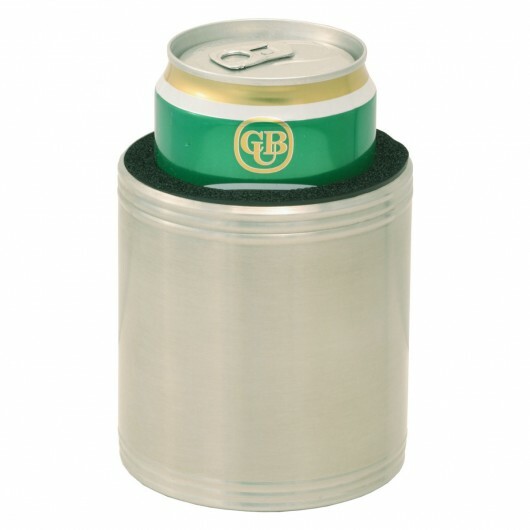 These metal stubby coolers stand out. Want a tougher stubby cooler with more longevity? The stainless steel metal stubby is the choice for you! They have a stainless steel outer wall and neoprene insulation inside that keeps your beer or drink cold for longer. You can have your logo on these bad boys in either a print or laser engraving - both look great. These coolers stand out from the crowd and are guaranteed to be the first thing people reach for.